Some 38% of European enterprises report potentially dangerous chemical or biological goods in their workplaces according to EU-OSHA. Exposure to these can lead to both acute and long term diseases and injuries, including respiratory and skin diseases, organ failure, occupational cancers, poisoning and suffocation. GHS/CLP labels: easily communicate risks associated with dangerous substances to avoid accidents and increase compliance with EU legislation. Safety signs: a simple safety sign can prevent costly workplace accidents if it is clearly visible, draws attention and is easy to understand. Services: contact us for an on-site visit or audit to easily select solution types that fit your needs. Brady offers even more solutions to help manage dangerous goods, including transport signs, visual tagging, floor marking, spill control and Lockout/Tagout. 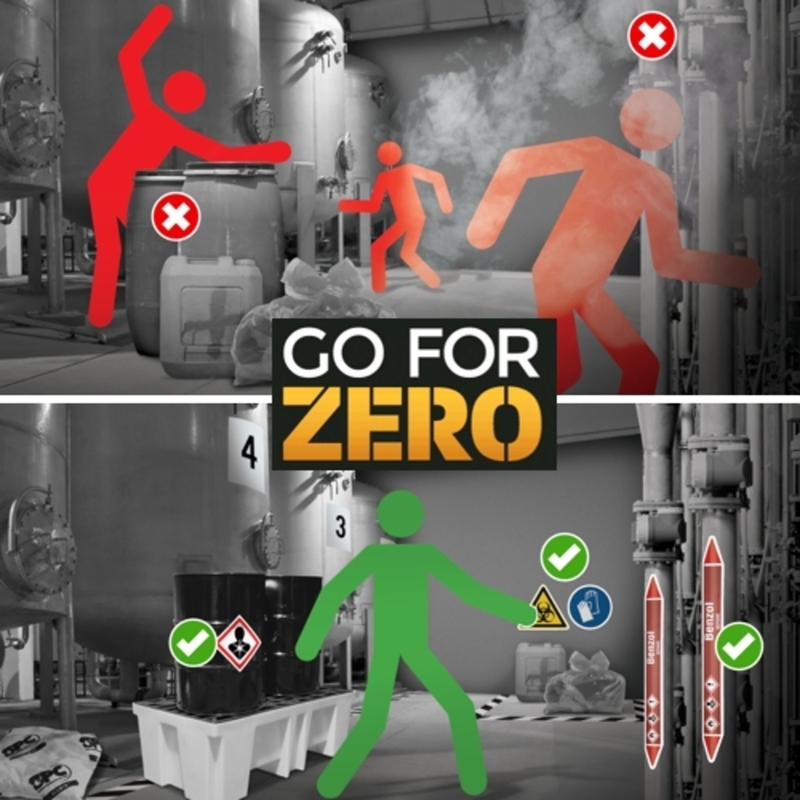 Discover tools to identify dangerous goods in your workplace!